The main draw of Rogers Cup presented by National Bank opens on Monday at IGA Stadium in Montréal. The draw was decided on Friday night at a downtown hotel with special guest Simona Halep, current World No.1 and reigning French Open champion. There were a few surprises in store, including a possible repeat of this year’s Wimbledon final in the second round. 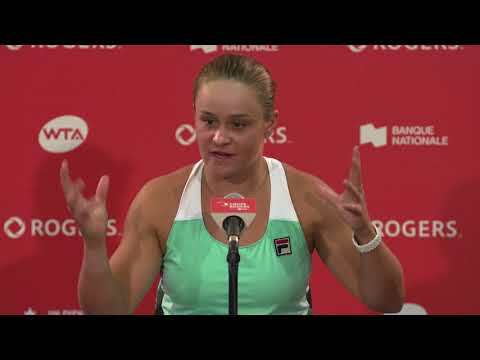 Champion Angelique Kerber and runner-up Serena Williams could meet early in the tournament if the younger Williams is able to overpower Alizé Cornet of France in the first round. The other Williams—Venus (13)—will face a qualifier and then likely run into Halep in the third round. Montrealer Eugenie Bouchard is pitted against Elise Mertens (14) of Belgium, who is currently in full command of her game. There are two other Canadians in the main draw. 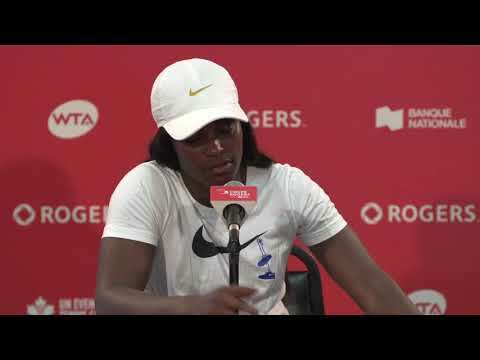 Françoise Abanda, another Montrealer, will go head-to-head with a qualifier, and Carol Zhao will battle Kiki Bertens of the Netherlands. Fourteen of the world’s fifteen top players have entered the tournament, including Caroline Wozniacki (2), Sloane Stevens (3), Elina Svitolina (5), Caroline Garcia (6), Garbine Muguruza (7) and Petra Kvitova (8), in addition to Halep and Kerber. With so many different players and playing styles, there’s no telling who will come out on top in Montréal!